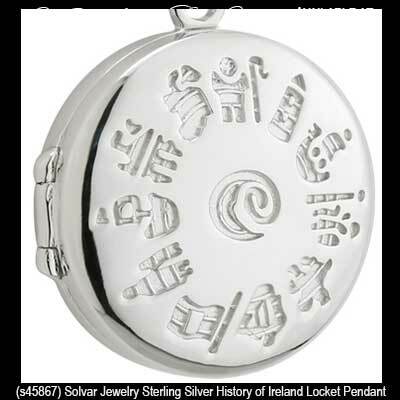 History of Ireland jewelry from Solvar features icons representing respective eras in Irish history. 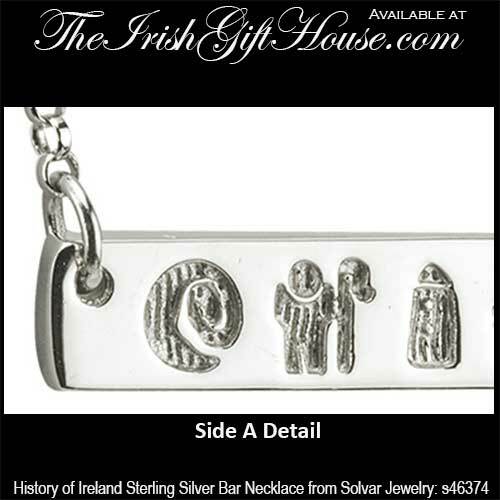 Some of the symbols include St. Patrick, the Viking Warrior and the Emigrant Ship. 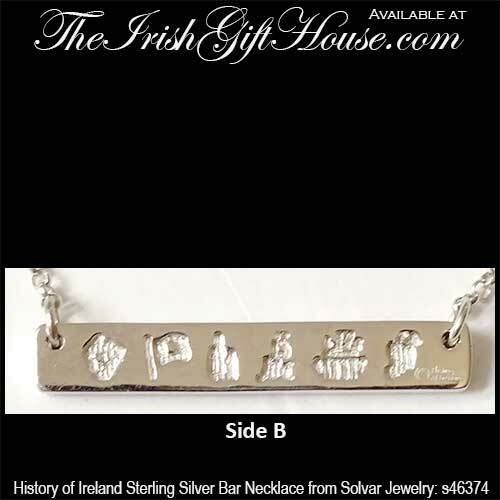 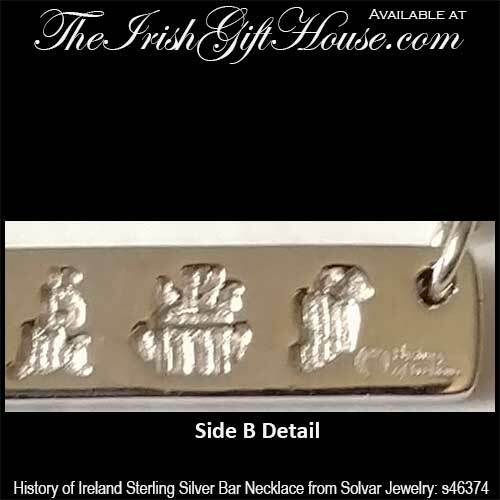 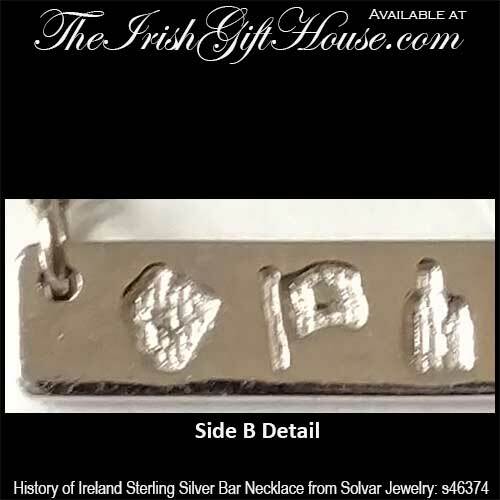 History of Ireland jewelry is crafted in sterling silver or in 14k gold and you may select from The Irish Gift House assortment that includes earrings and necklaces. 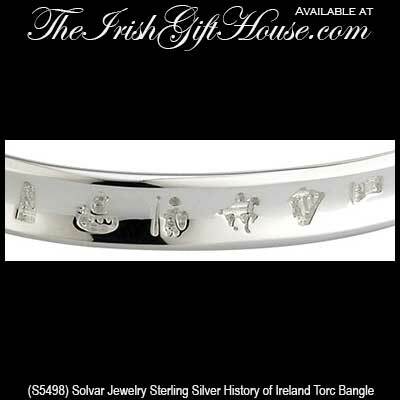 Each piece of Solvar History of Ireland jewelry, such as the Celtic crosses and bracelets, are gift boxed with a booklet that explains the symbols meaning. 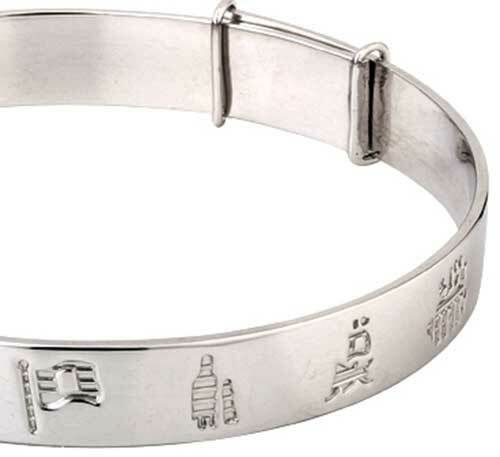 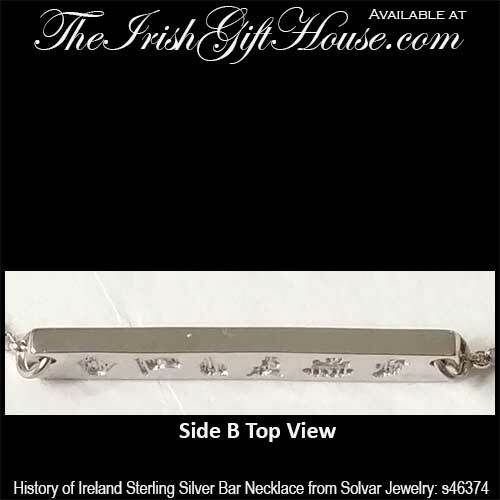 Sterling silver History of Ireland bracelet features a Tiffany style charm design. 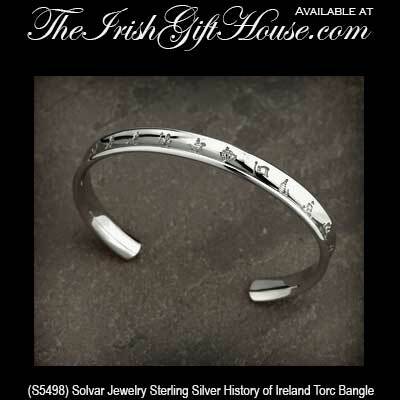 History of Ireland bracelet features heavy sterling silver links in the Tiffany style. 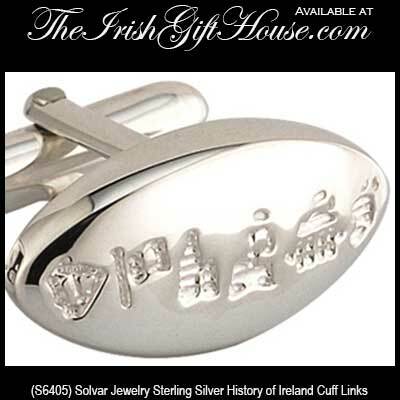 One of the most unique collections of Irish jewelry offered at The Irish Gift House is the History of Ireland jewelry from Solvar. 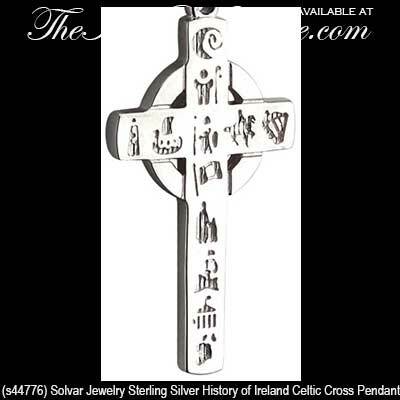 Browse through these historically significant pieces and you may wonder what your ancestors were doing during the era of time that is represented with each icon. 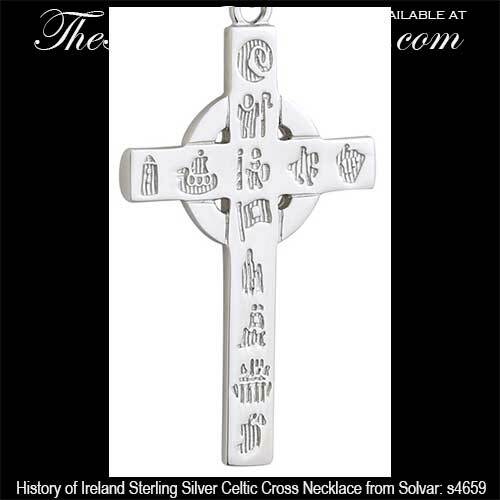 This assortment is great stuff, but all our selections, such as our Celtic crosses, including the silver Celtic cross necklaces and the gold Celtic crosses, may also fill your heart with pride knowing that you are a son or daughter of Ireland. 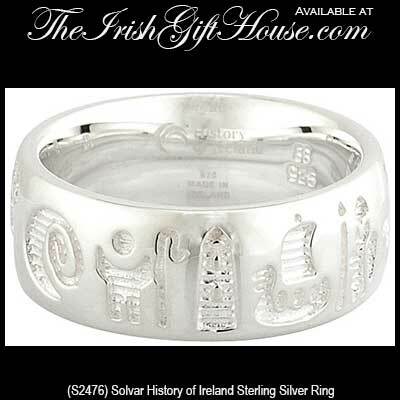 The silver Claddagh rings along with the men's Claddagh rings, like all our Claddagh rings, can trace their origins to 16th century Galway. 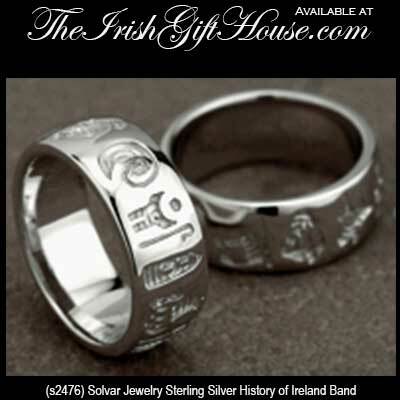 What other rings have this kind of history attached to them? 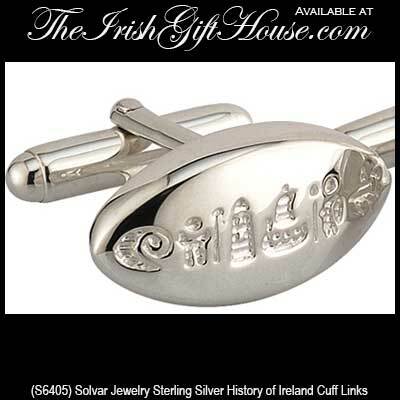 Likewise the silver shamrock necklaces, like all our shamrock jewelry, evolved from the early Celts and later St. Patrick providing this green 3 leaf clover that blankets Ireland with fame, and while it is the harp that is the official emblem of Ireland, the shamrock is forever associated with the emerald isle and her people the world over.